There is more than one way to think of time. Jing Hu, Ph.D. student in Organizational Behaviour and Human Resource Management at the University of Toronto’s Rotman School of Management, is on the clock. 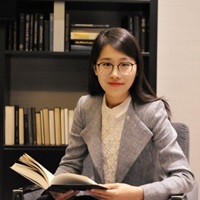 Jing Hu is a Ph.D. student in Organizational Behaviour and Human Resource Management at the University of Toronto’s Rotman School of Management. She holds an MA and BSc from Beijing Normal University. Her research interests include employee’s work meaningfulness, time in organizational research, employees’ well-being, and cross-culture research. She studies the ups and downs of having a meaningful job and explores the antecedents of work meaningfulness from different levels, including the macro, organizational, and individual level. Also, she studies the topics related to time in organizational research. Moreover, she is interested in the factors that impact employees’ well-being. Her work appears in psychology and management journals, including Journal of Experimental Social Psychology, Frontiers in Psychology, and Journal of Personnel Psychology. When will you finally get that raise at work or that phone call from your friend that you have been looking forward to? You might be used to answering questions like these in absolute time, like days or months. You may also notice yourself talking about time in relative terms, like very soon or far away. However, have you noticed that these two ways of estimating time do not necessarily move in lock-step? That’s why I wanted to examine if these two ways of thinking about time flow in different directions depending on people’s frame of mind – specifically, whether they were attuned to the big picture of their lives or the nitty-gritty specifics. Through a series of experiments, study participants induced into an abstract, big-picture mindset thought that personal activities felt like they would occur very soon while people oriented to the specifics felt like they would happen far away in time. However, what about when asked about the activity in absolute time, like days or weeks? Here, the big-picture thinkers said that it would happen three months down the line, while nitty-gritty thinkers said that it would happen in just three weeks. So, next time when you plan for a future activity, be mindful of the frame of your mind – are you big-picture or nitty-gritty right now? – and whether you are thinking about time as days and months or a feeling of time being short or long. If you need to create a feeling of time pressure, try to put yourself in an abstract frame of mind and use relative time estimation. If you need to relax, go concrete and focus on just the next few minutes putting everything else at a relative distance in time.